There’s nothing like the feeling of defying gravity and the adrenaline rush you get from going higher. Performing the somersault or twisting faster while on a trampoline is all so satisfying. There’s no doubt that learning and practicing new skills on a trampoline every day can be a lot of fun. While some prefer to advance a single skill to participate in competitions, others like to learn the nuances of different moves and help others perform it with perfection. Well, we are all very grateful to our instructors or coaches for putting their hard work and dedication into helping us master a sport. It’s true that coaching can be challenging, but it is also rewarding to see the enjoyment and progress of each individual. Our readers often ask us how to become a trampoline coach and the type of qualifications one might really need. That is why we have decided to put together a comprehensive guide that will help you understand every single detail about becoming a trampoline instructor or coach. How to Become a Trampoline Coach or Instructor? Where Can You Get a Trampoline Instructor Job? What Is a Trampoline Coach’s Salary? Every tumbling, twirling, and spinning gymnast on the trampoline got their start with the help of a trampoline coach. A trampoline coach, a special type of gymnastics coach, specializes in none other than trampolines. From beginners to elites, gymnasts work with trampoline coaches or instructors to improve their bouncing skills. In simple terms, if you have passion and a desire for gymnastics and want to share your talent and wisdom with others, then you should definitely consider becoming a coach or an instructor. You don’t need an Olympic medal to be able to teach others. Many coaches start out as gymnasts or are associated with them in some way. It is much easier to get into this line of work if you are already familiar with the environment and the practices. People who have been a part of the gymnastics world for a long time want to help others to achieve great things. In fact, most of them have already chosen the discipline they want to pursue. 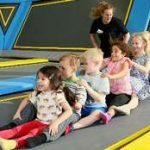 Chances are that if you are reading this article, you have kind of made up your mind to become a trampoline coach or instructor. And if that’s true, you should ask yourself if you are dedicated enough to become an excellent coach. Of course, you will also need certain qualifications to professionally train others on trampolines. There are a few routes into trampoline coaching, but the most common way is to get a USA Gymnastics Coaching Certificate. There are four certificate program options. Level 1 introduces you to becoming an instructor and gives you skills to become an assistant trampoline coach. Each certificate offers a unique set of courses. Furthermore, each course is designed to help individuals achieve the merit and excellence required to qualify as a coach. These programs are progressive, which means you have to complete them in a predetermined order. The Instructor Certification is for those who are just starting out as gymnastics or trampolining coach. This course provides a good foundation for the future development of coaching tricks and skills. The Junior Olympic Development Coach Certification is designed to educate instructors who are working with athletes at the beginning levels (levels 1–4). The course further improves the coaching skills and enhances the training tricks for gymnasts. You will also be provided with T200/T201, Trampoline & Tumbling Development Coaches Course (Level 1) and Hands-On Training. It mainly focuses on providing coaching professionals with a knowledge base of principles, key concepts, and proven techniques used in the trampoline discipline. In short, this T200/201 level course gives the entry-level coaches (levels 1–4) a foundation on which they can build their skills further. 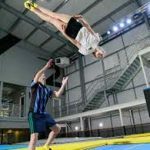 After the completion of the course, they will have a better understanding of the skills, techniques, and philosophy used in trampolining. The Junior Olympic Team Coach Certification program strengthens one's coaching skills, which mainly relate to gymnasts at the competitive levels, i.e., levels 5–7. One must have prior experience as a Junior Olympic Development Coach to pursue this course. To obtain the National Coach Certification, one must first complete the Junior Olympic Team Coach course. This course is for coaches working with optional level athletes (levels 8-10, Elite). It helps coaches develop skills and techniques that will foster improvement and growth with one's self as well as athletes. Certification often requires coaches to be at least 16 years old, and be trained in first aid and cardiopulmonary resuscitation (CPR). Sometimes coaches also need to attend classes related to sports safety and coaching fundamentals prior to becoming certified. However, keep in mind that every state in the US has its own set of requirements to become a coach. In fact, private schools or fitness centers usually don’t even require certification for coaching or instructor jobs. Still, some fitness centers and schools prefer to do a complete background check before hiring a trampoline coach. Being a coach is not easy. It’s a constant challenge where you help gymnasts or sports enthusiasts to overcome their fear and achieve new heights. They put their trust in you. And that’s why it’s rewarding to watch them progress and gain success. Whether you are coaching adults, kids, beginners or elites, you play a big role in contributing to their success. Not just professionally, but personally too. Apart from developing their trampoline skills, you will also boost their confidence and help them become the person they want to be. It should be clear by now that as an instructor, you will have to go the extra mile to make sure that you are providing the proper guidance and support to budding athletes. You will help them enhance their skills and techniques. They need to be encouraged to be the best they can be. So what will your main responsibilities as a trampoline instructor be? You can choose to work either full-time or part-time. That’s totally up to you. The hours are quite flexible, and they vary depending on where you work and on which level. Full-time hours are around 25–30 hours per week. Usually, coaches or instructors are expected to work in the evening and during weekends. Some people are surprised to learn the number of hours coaches put into their job. And it is not just the physical coaching side of things; they do much more than that. It includes traveling, planning sessions, offering support, scheduling, and putting in true determination and dedication. Of course, some athletes prefer to hire private instructors. The U.S. Bureau of Labor Statistics predicts that the demand for all coaches will only increase in the coming year, faster than the average for all occupations. And the demand for gymnastics coaches, especially for girls, is most likely to increase as health-conscious parents look for well-organized programs for their children to participate in. Typically, coaches with college degrees have a better chance of getting a job. The salary is the most critical part of any job or career we decide to pursue. There are certain factors that might affect your salary range — the location you work in, the level of your coaching skills, i.e., from beginners to elites, and your experience. The average salary for a coach is $16.30 per hour in the United States. Trampoline coaches may earn more as they gain experience, which will qualify them for higher-paying jobs. Furthermore, they tend to earn more in the East and West coast states due to the high cost of living. Over the years, trampolining has become increasingly popular. And not just as a fun activity for kids, but as an extreme sport that adults use to master their aerial skills. That’s the reason many schools have included trampoline coaching courses as part of their physical education programs. However, there are many risks associated with trampolining. Injuries aren't that common but they do happen. Therefore, all coaches — full-time, part-time, and those under a temporary contract — have to be insured. A crucial part of the job is to be covered against all third-party claims. Many insurance companies can provide a bespoke policy for coaches on all levels, which means it can be tailored to suit your needs. You can simply take out a public liability cover or a personal accident insurance policy to protect yourself from loss of income in case you are not able to work due to an injury. So regardless of where you are working — whether it is a private fitness center or a public school, an insurance policy protects you against any claims that may arise. 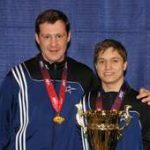 Coaches teach both beginners and professional gymnasts the techniques they need to succeed at their sport. As a scout, you may only be looking for new potential athletes and evaluating their likelihood of success at the college, amateur, or professional level. 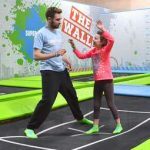 As a trampoline coach, it is your choice whether you want to focus on private lessons or teach multiple classes throughout the day. At first, you will teach students how to safely control their bodies on the trampoline. You will help them improve their bouncing and landing tricks, and may even move into rolls. Once your students are more comfortable on a trampoline, your next focus will be to help them master their moves. You must already know how smooth flips and spins on a trampoline can help you win the competition. Every little technique contributes to performing with ease. While working with advanced level athletes, your role as a coach includes observing them as they run through their routine for competitions. You will critique their performances and guide them through their practice session accordingly. You may even plan their routine yourself. These are just the basic skills that you are expected to develop in your students. In between teaching, there are some other duties that a trampoline coach has to perform. Generally, you will see that high school coaches are primarily academic teachers who coach part-time to supplement their income. Sometimes, people are referred to as sports instructors rather than coaches who only teach the fundamental skills of individuals and team sports. Like coaches, they also hold practice sessions, design specific drills, and improve athletes' skills. Instructors are usually specialized in one single sport like trampolining, tennis, or golf rather than being an all-rounder gymnastics trainer. They spend their time working one-on-one with athletes and customizing training programs for each individual. However, many sports instructors work with people who simply have an interest in learning a new sport rather than athletes competing in events. For example, a trampoline instructor may give individual or group lessons to those interested in learning just the aerial tricks. We all know that there is no exact blueprint that defines a good coach. Each coach will have their own strengths and weaknesses. However, there are some noticeable qualities that all good coaches have in common. While reading this guide, we would advise you to ask yourself how you measure up against each of these qualities. It will help you to identify the areas which need improvement. The foremost requirement of being a coach is to have excellent communication skills. A coach should be able to effectively communicate all his plans and strategies to every player on the team. Their communication skills determine how well they can instruct the athletes and boost their confidence. To become a coach, it’s really important to show complete dedication to the sport. It takes years to become successful, and because of that, losing patience is easy. A good coach shows dedication by attending the daily practice round and assisting the teams and individuals in strengthening their skills and stamina. A good coach should know how to make right decisions. They must be able to choose the ideal player for a particular position. Furthermore, they should also recognize the proper time to employ game-managing tools such as timeouts. Lastly, decision making is also crucial for recruiting. A good coach or scout should be very selective when recruiting new players from lower levels of athletics. A good coach or instructor must demonstrate good leadership skills to get the most out of their students. They should be able to motivate them and bring the best out of young athletes. Being unable to solve fights or any kinds of disputes, or failing to bring the matter up with the appropriate parties shows a lack of leadership. One of the signs of a good coach is how fast they can foster a positive relationship with their current players and potential new individuals. We have often seen how some coaches resort to ‘tough love.’ But what all good coaches have in common is respect for their students. Disdain and resentment have no place in a competent coaching relationship. What defines a good coach is how effective they are in laying out a strategy and developing a game plan that increases the chances of winning. A coach needs an original game plan or strategic formation to have a competitive advantage over opponents. To tell you the truth, coaching can be both physically and mentally demanding. It’s not an easy job to be a coach. And on top of that, when you are just starting out, the salary is also not high enough to help you stay motivated for a long time. However, you have the option of keeping your current job in the beginning. By becoming a coach or an instructor, you’ll get a chance to be a part of the sport you love. It also means you’ll get to work with like-minded people. The sense of achievement you get when you watch your students develop as athletes will give you pure joy. 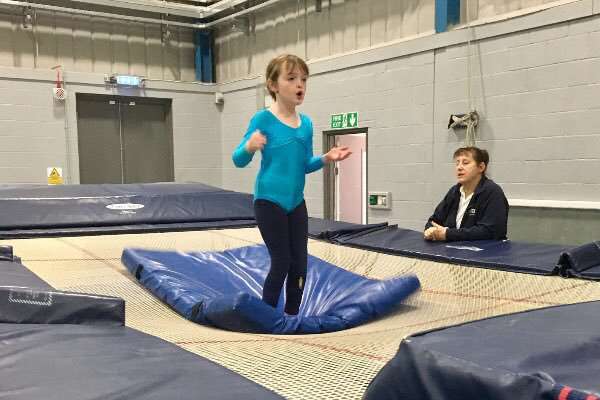 We hope this article was able to cover all your queries about becoming a trampoline coach. If you found the article helpful, don’t hesitate to share it with your friends and family as well. If you want to add anything to it, feel free to do so. Leave your thoughts in the comment section below. We are waiting!